Mothering Sunday 2014 was yesterday, Sunday March 30th. On Saturday, when this image was taken, menfolk were out and about tracking down flowers and chocolates. 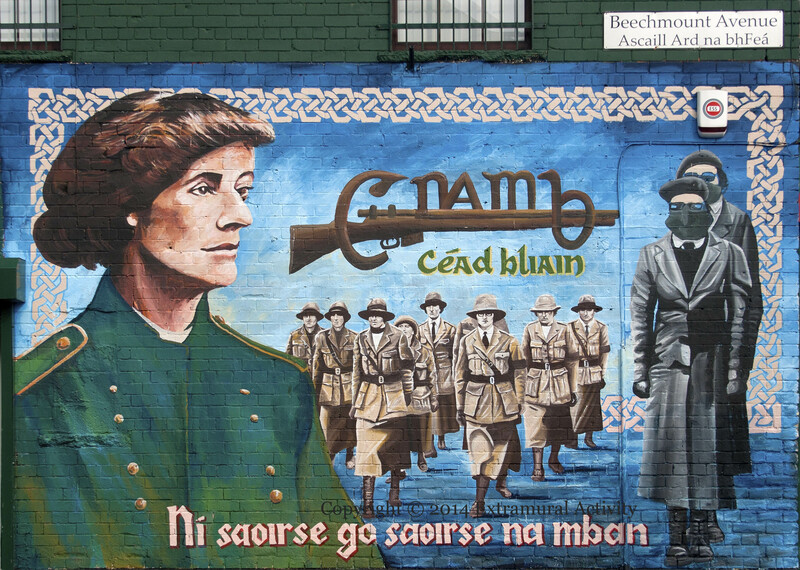 This week also happens to be the one-hundredth anniversary (“céad bliain”) of the founding of Cumann na mBan (League of Women) on April 2nd, 1914, and it is being commemorated in various ways, including a new mural on Ascaill Ard na bhFeá/Beechmount Avenue. 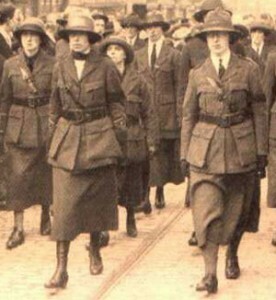 The letters “Cnamb” on a rifle formed the badge of Cumann na mBan. 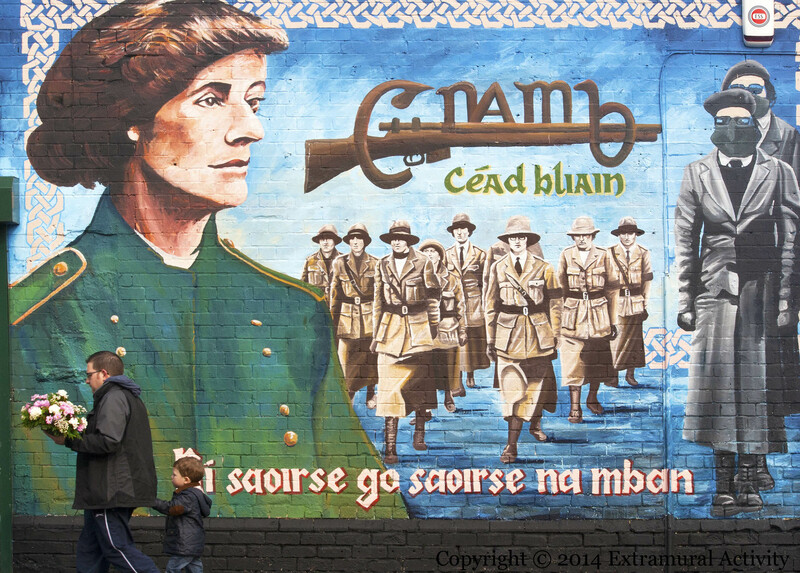 The Irish “Ní saoirse go saoirse na mban” means “No freedom until the freedom of women”. 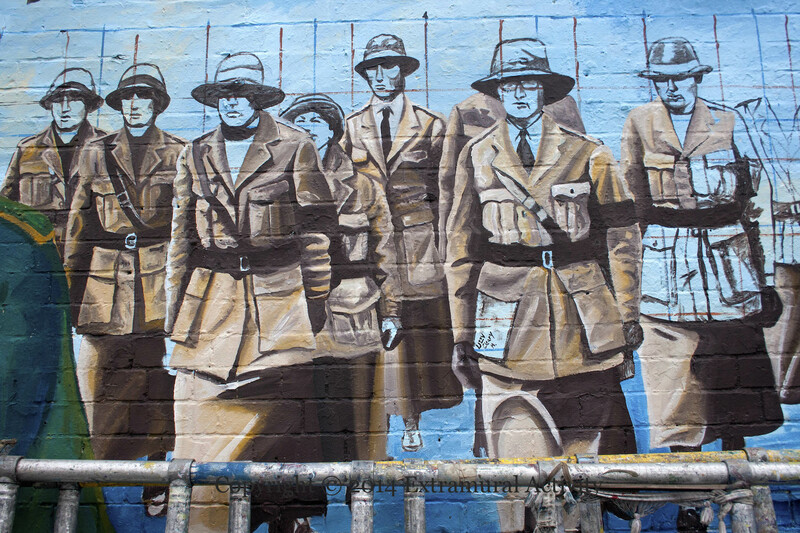 Below are three images relating to the centre of the mural: first, the photograph on which it is (probably) based; second, an ‘in-progress’ shot from last week; thirdly, a close-up of the finished mural. Below these is a plain shot of the full mural. 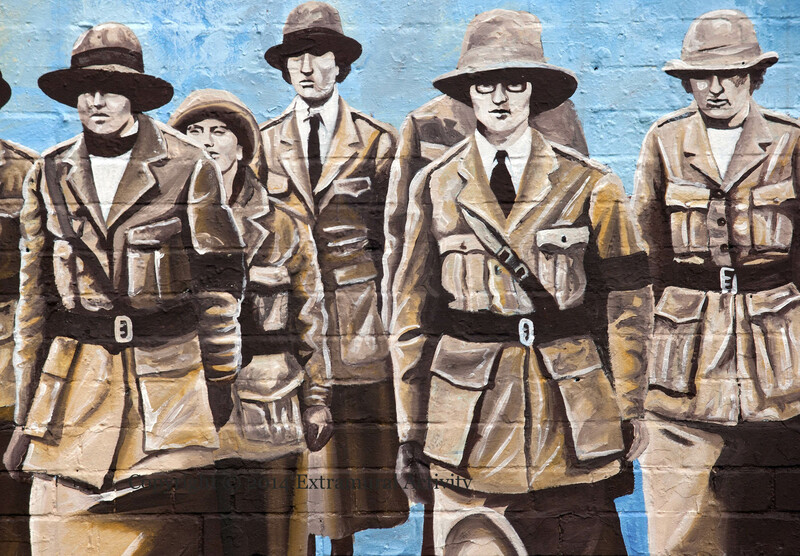 Replaces Fianna Éireann centenary, 1909-2009, in which Countess Markievicz was also featured.